Some time ago one of the many podcast authors I follow (I honestly don’t remember which one) dropped a preview of David Moody’s novel Hater into their feed. I found that first taste very interesting, but never got around to finding the actual novel until last week. I just put it down a few minutes ago, and the first thing I did was check Amazon.com to see if the sequel was available yet. 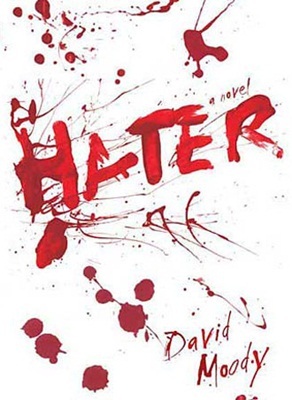 I suppose you can qualify Hater as a horror novel, but that doesn’t really give an accurate description of the story, just as the word “Hater” doesn’t accurately describe what’s happening to the characters in the book. The story focuses on an office drone named Danny, a man weighed down by an unhappy life, kids who frustrate him, and a job he hates. As bad as his life seems, though, it gets worse when people across the country begin to suddenly snap and go into unexplained, homicidal rages against random targets. As the attacks get more and more frequent, chaos begins to spread. What is causing ordinary people to become cold-blooded killers? How long will it continue? And perhaps the most frightening question of all – who’s next? Moody’s novel really is a great study of human nature. The real fear in this book comes not from the danger of being attacked, but from the uncertainty about who may attack next. Imagine living in a society where any random person on the street could suddenly snap and start killing anybody, from complete strangers to their closest loved ones. The collapse of society that ensues feels very real, very possible given the circumstances. For the first two-thirds of the book, we also get a very good depiction of an ordinary person’s response to this sort of chaos. The final third of the book takes a very surprising turn, and before we know what’s happening, we’ve gone from an ordinary setting in chaos to a totally changed world. The shift is quick, but Moody sells it surprisingly well. Although the book doesn’t really share much with the zombie genre, structurally at least, it has a lot of the same feeling and tone as a great zombie book. That underlying fear is the same, that terror that something familiar would be changed forever and corrupted into something that will kill you. The best zombie stories drive that fear home, and Moody does the same thing in this book. I was a bit surprised, as I approached the end of the novel, to begin getting that sensation that a sequel was in the offing. You know how it goes – sometimes as you get nearer to the end of the book you realize there are simply too many dangling plot threads and too many unanswered questions to resolve things in a satisfying way, which means you’re either going to be let down by the ending or you’ll realize you’re actually reading the first book in a series. This turned out to be the latter. It’s to Moody’s credit, then, that as soon as I put the novel down I logged on to his website to see if the sequel, Dog Blood, was available yet. Not only was it available (and now sitting on my Kindle) but there was a free short story on the website too, “Everything and Nothing,” that bridges the two novels. And, not surprisingly, Dog Blood is being billed as the “second book in the Hater trilogy.” So I’m not expecting a conclusion when I read that book either. But if it’s as strong as Hater is, that’s okay. Moody has sold me, and I’m definitely along for the ride.